Most companies may do one or two of these correctly. Few will go the extra mile and implement all of the four steps needed. Whichever you decide to focus on will depend on the immediate needs of your company and how much you may need to meet your KPIs. Social listening involves monitoring mentions about your company on the web. It can be both positive and negative. It is in your best interest to monitor all of these and keep track of it. Many customers are now taking to social media to get solutions to their problems. Statistics prove that they get a quicker response from social media than through traditional emails. Setting up a unit to cater for this should be a top priority in your social media marketing plan. Reputation management, in particular on the web, is on the rise. The size of your business does not play a role here. People will always talk, tweet or share information about you on the web. Comment on your post on Facebook or your blog. It is your responsibility to respond and not avoid them. If you carry out the above 2 points, you will realize product gaps from the mentions. What do I mean? You own a restaurant and have lots of customers. They may like your place but need a few more improvement or a few more dishes added to your menu. If you are listening to your mentions, you will pick up these complaints or discussions. Social influencing is more about using the content your content team creates (or your social media manager) to spread around the information that will lead to authority and trust in your brand. Creating and sharing relevant content that interest your audience will result in the subsequent increase in traffic to your sites. This could be both from your social media platforms and through the web (if it is SEO optimized). It involves a proper use of content that enables your followers to understand more about your goods and services. It could be a new product that you want to introduce to the market or an existing one. Performing product awareness campaigns may spark conversations across the web that will lead to increase awareness of your brand. It also helps people to understand what your company is about and enhances your branding. Retargeting is a real game changer to business owners. Those who have embraced this technic can market targeted goods and services to those who visit specific pages on their website. This is the most targeted way of engaging with your audience and often leads to high conversion. Your business is about cooking. You have written a few blog post about Vegan meals. It is possible to place pixels on these particular pages or post and later target (with an offer of Vegan meals) all those who read about Vegan meals on your site. These are the most targeted Ads which marketers use, and they always have a high conversion rate…why? Because you are targeting people with offers that will most likely interest them…Vegan Meals. The reason why you should be doing this is that networking creates connections ( I learned the hard way) The more influential people you connect with, the more you increase your network and expose your business to more people. Sadly most business owners focus more on this and tend to neglect the other aspects that make up a compelling social media marketing plan. So how do you sell on social media? Well, the answer is, you dont…atleast not directly! When done right, social selling can assist you to generate leads and sales from social media. Everyone consumes content on social media. You want to communicate with them using relevant content to spark their curiosity. It could be on any of your social media channels like Facebook, Pinterest, Instagram, Twitter, LinkedIn, and Youtube. Use powerful lead magnets to encourage more to get into your funnel and email list. Also, consider placing retargeting pixels on your blog post to pixel or cookie those who are interested in specific posts on your website. So why bother about social selling? Bring more customers to your business and build your brand. To conclude, having a social media marketing plan is one thing and generating leads and attaining your marketing goals is another issue. The Conversion stage… They now know and trust your brand and are ready to join or buy from you. Evaluating this process will give you more insights on what types of content to create for your social media platforms that will move your audience through this customer journey till they buy from you. Are they any questions or suggestions you have in regards to creating a social media marketing plan for your business? Contact me and let us work a plan that best suits your business. I have to admit, Apolline, this somewhat boggles my mind! What a great and comprehensive package though, for all things social media related to business. And it makes me realize, yet again, that my SEO and smm folks do a fabulous job. Whew! There is so much involved in having a good social media marketing plan, Apolline, and you’ve laid it out so clearly. Makes me realise that, at some point, I will need to get help with this. I need to restructure my social media plan. There is so much to think about when you’re planning and I honestly, don’t. I am going to save this blog post because it is laid out so well for me, it will help me to restructure when the time comes. An excellent point-to-point guide on how to handle brand social media. I was overwhelmed when the realization first struck me ‘how powerful is social media’. As I’m sure you’re aware, there isn’t a one-size-fits-all plan out there. They all need to be custom-tailored. Fantastic information Apolline. I have some systems I love, but need to automate better. I’m saving this blog as a day project. What a comprehensive article! I am doing OK, but need to do better. But it is baby steps. Thanks for laying out a great road map that I can follow. Saving for sure! This was a very well put together overview of a very complex subject. As a new blogger this was quite helpful. I agree that mapping out a plan for marketing on social media is a must! I use all of what you described above in my social media marketing. I love that you pointed out that customers take their complaints to social media. 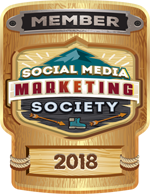 This can be really beneficial as I personally use social media as a customer service vehicle (Facebook Messenger and Twitter) for many of the business services I use. Social media is a HUGE part of blogging! It is a necessity in marketing your brand! Tons of valuable information here! I need to improve my social listening. I’ve heard Mention is an affordable, effective tool, so I’m considering it. There are many pieces to a social media plan, and you’ve covered a lot of ground! You are right on girl.. and love all of the value in each one of thee steps…. too many folks don’t put forth the kind of work they need to in order to be successful. Thanks for laying it all out for them. Apolline, this boggles my mind… I haven’t heard of half the sites you have listed here. Yikes. I’m familiar with Klout:-) You raise a great point about needing to consistently respond to messages, posts, etc… It IS our responsibility to do so if we want to stay in business. So much to do, so little time! thanks for this comprehensive list of what it takes to keep the business firing on all cylinders! So glad you joined our Facebook group, Apolline. You’re always updating us not only with great information but direct resources as well. This is the first I’ve heard of the term social listening. I can relate it to hearing about a restaurant that became very successful by creating a menu based on what the customers wanted. Lots to digest here, and will be bookmarking it for my reference file. You are so right. These are all great tips. I hear about social listening all the time at home. My husband is a software engineer, and one of the tools he built recently is focused on listening to Twitter’s firehouse data for specific data sets he tracks. It’s really fascinating what you can measure that way.